This article will show you how to secure your Kraken account by using an Authenticator app to set up Two-factor Authentication (2FA) for specific account actions. An Authenticator app is an app that generates 2FA codes that can be used as an additional security requirement to perform actions on your online accounts, such as your account at Kraken. An Authenticator app generates a dynamic 6-8 digit one-time password (OTP) that is required in addition to your username and password when logging in. One common Authenticator app is Google Authenticator, but there are others available as well. For more information on Authenticator apps, click here. 1. Log in to your Kraken account. 3. Click on the “SET IT UP” button for “Authenticator App”. 4. On the next screen, click "Next" to continue. Only advanced users should change the settings by clicking "Change this setting". 5. Open the Authenticator app on your device and either scan the QR code provided, or manually enter the secret code. If you want to backup your secret key, see this article. 6. Enter the numeric code that appears in the Authenticator app, and click the “SAVE” button. Depending on which action you set up 2FA for, the "On/Off" dial will be green and show “ON”, and in this case, "Authenticator App" will be shown as the method. Below, is how it will look for login, but if set up for other actions, it will look the same. 7. Congratulations, you have secured your Kraken account! 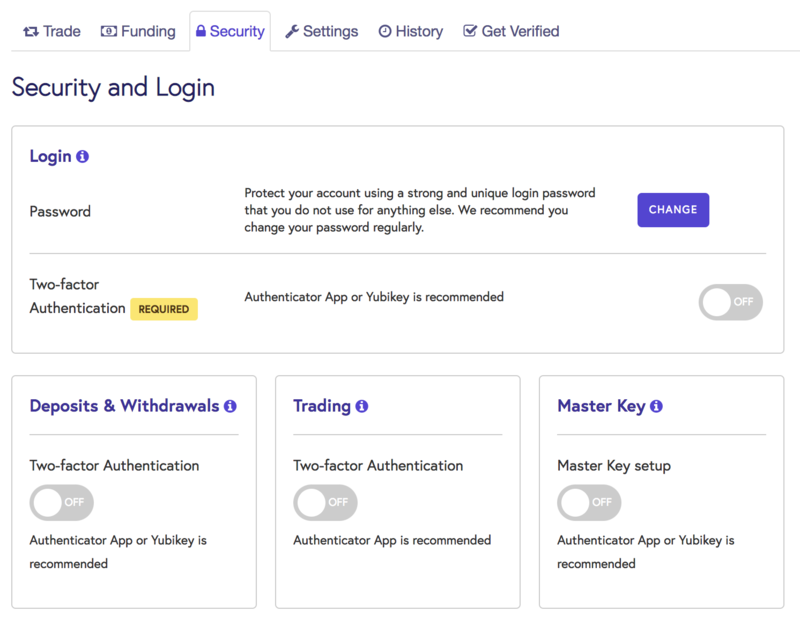 You have successfully used an Authenticator app to set up 2FA for "Login", "Deposits & Withdrawals", "Trading", or as a "Master Key" on your account! Security Tip: If the device that your Authenticator app is on has been lost or stolen, your account is at risk of being compromised, especially if your email account can be accessed from that device. In this situation, you should immediately log in to your account to make the necessary changes to your account settings. If you are unable to log in, contact the Kraken Support team by opening a support ticket to have your account temporarily disabled.